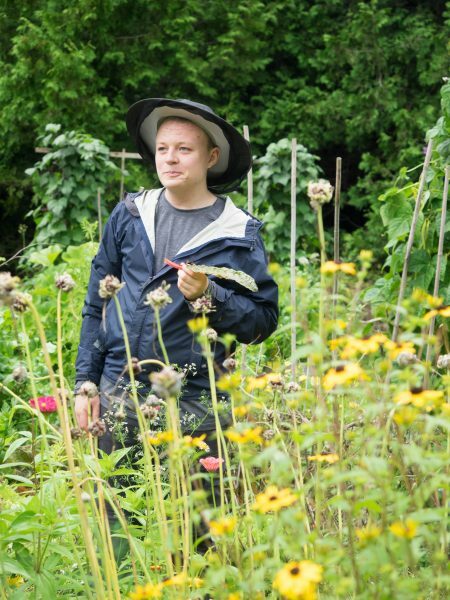 WHAT IS MINDFULNESS IN NATURE? 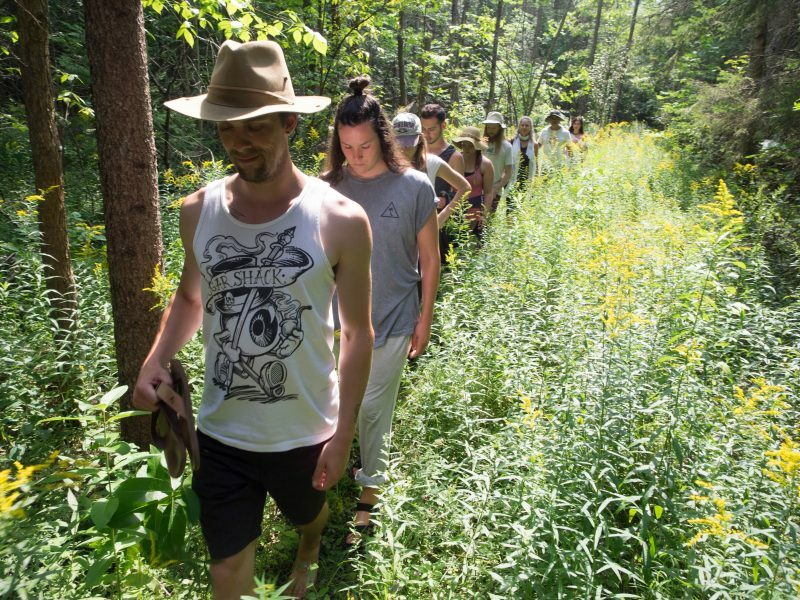 Mindfulness in Nature is an immersive program for ages 18 – 30 that connects you to yourself and your surroundings, by deepening your awareness of the impact your actions have on your life, your relationships, and the earth. Nature attunes us to another rhythm and way of being. It helps us to listen inwardly to the place where we draw upon our inner strengths and challenge our unhealthy patterns – both the patterns we’re aware of and the ones we’re not. The more we are able to attune to our inner state and then to others with compassion and empathy the better equipped we are to live an empowered life and face our fears and limitations. 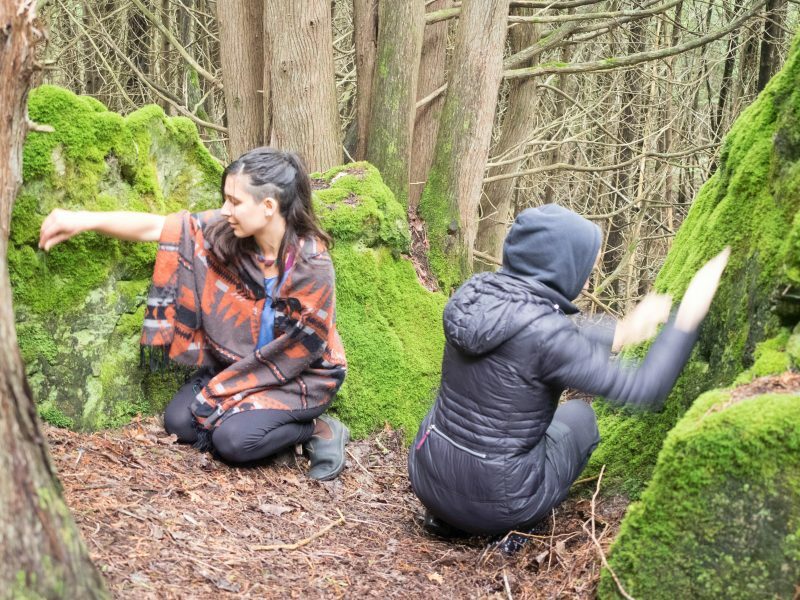 Being in nature can provide opportunities for young adults to discover self acceptance and ease as we learn how our anxiety and stress can reconnect us with a sense of belonging and shared humanity with others. 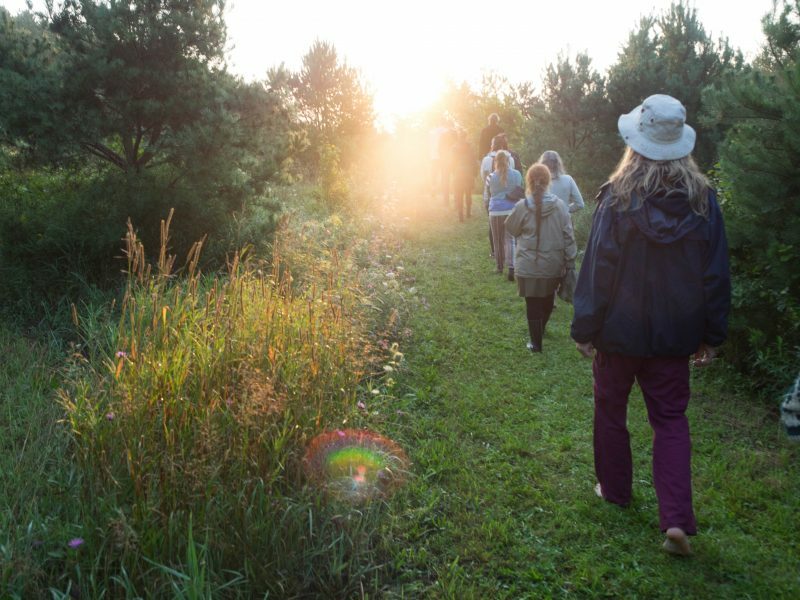 When we add mindfulness and other awareness practices, such as deep ecology, food sovereignty, creative expression, and rites of passage, we create an even more powerful experience in connecting to our place in the greater landscape. Do I know the difference between responding and reacting? Develop compassion and confidence in facing your personal obstacles. Do I feel secure in myself and with my choices? 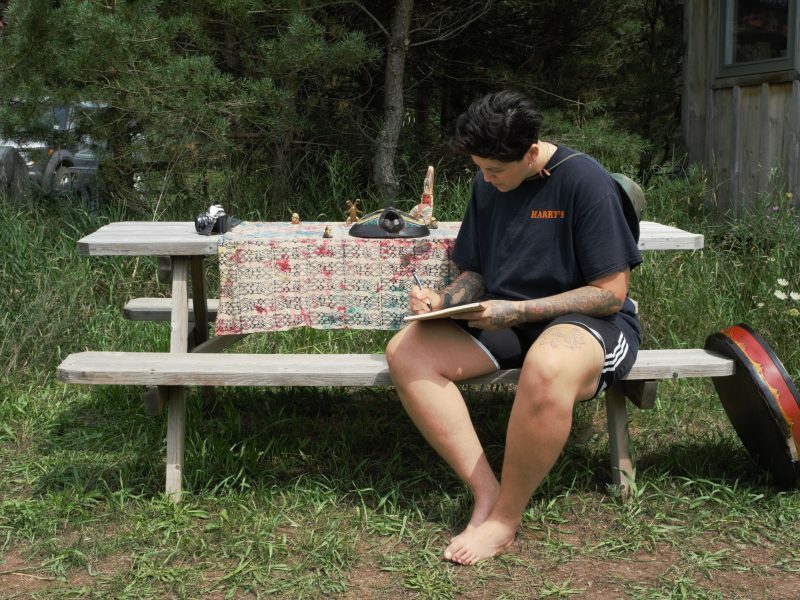 How often do I tune out the digital world and tune into the outdoors? Is food also medicine to me? Do I take time in preparing and eating? How can I be present even when the present moment is difficult? Do I dedicate time to reflect and gain clarity? Do I feel empowered and strong in myself with others? *Fee: $795 was $1450 | Program Fee REDUCED thank you to our donor generosity!!! Payment plans are available. Fee includes all meals and manual. 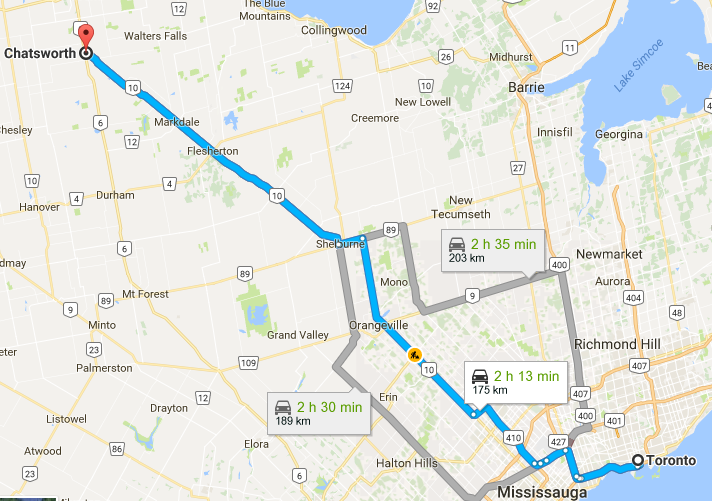 Does not include transportation to and from Sarana Springs. After you make the commitment to register, your journey begins. Register Now. 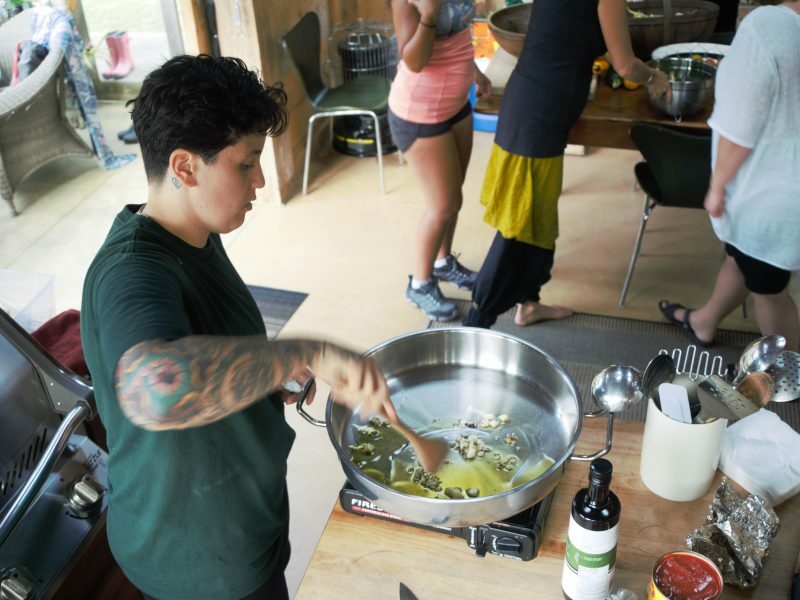 This program is outdoors based. Need camping gear? Contact Maxine. From Toronto: Greyhound buses are available and a pickup from Owen Sound can be arranged. 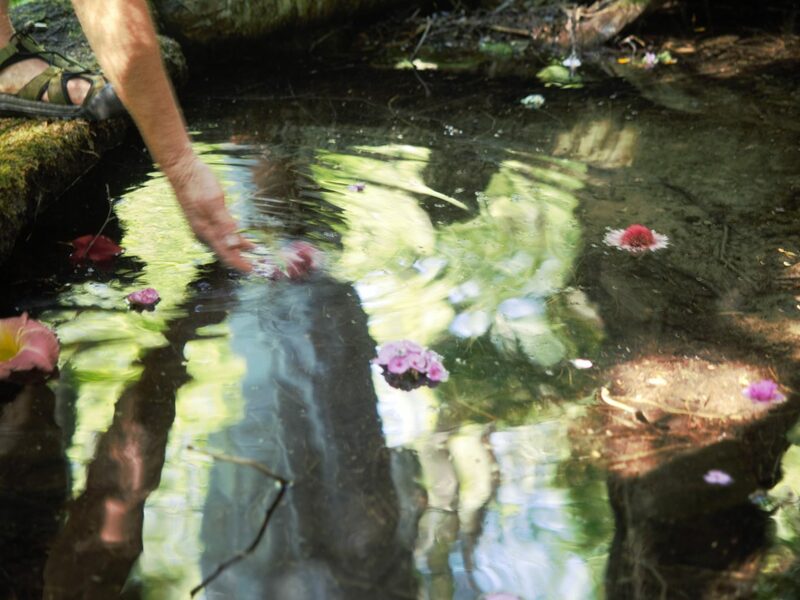 Sarana Springs, on 171 acres of meadow, mixed wood, red pine and cedar forest, ponds, a small lake and abundant fresh water springs with adjacent wetland, supports us to engage or discover what is truly in our hearts. The natural world provides the perfect environment for turning our attention inward. With guidance, you gather new inner resources and wisdom and gain the confidence to reach your potential, which isn’t easy. As Young Adults from ages 18-30 years, you stand at the most important threshold of your lives—finding out who you are and what your gifts are. 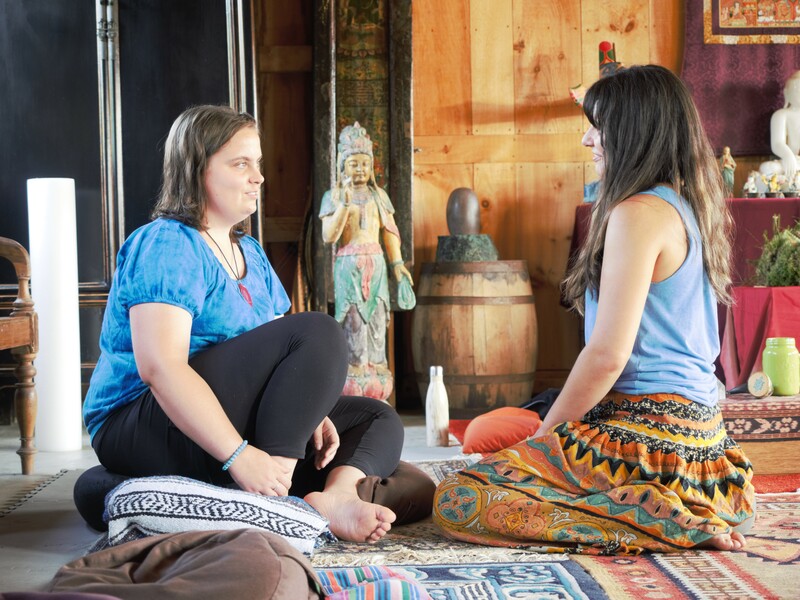 This program gives you a structure that provides you with mentorship, mindfulness training, emotional resiliency, compassion, and insights to strengthen your acceptance of not only who you are on the inside but who want to become in out in the world. Building a stronger relationship within yourself, seeing who you are and the ways you react to life, begins with slowing your mind and body down. Through the skills of mindfulness training, you learn how to let go and relax, how to P A U S E , by grounding yourself into your five senses. And especially you learn how to deal with your sixth sense, your own mind and with its crazy thoughts. And one more thing, you will learn not to believe all of them! 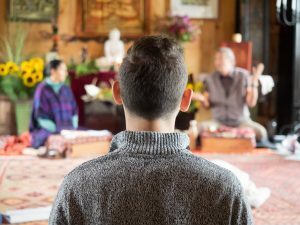 Our leadership training program includes daily guided instruction in developing everyday mindfulness practice skills, and the development of self awareness and self insight: our ability to notice, observe and reflect on our thoughts, be they positive or negative. This intentional awareness builds greater presence and acceptance—less self-judgment, criticism, and loathing—within and towards the world around us. In mentoring young adults, it begins for us with us knowing you are an adult and that you’ll be seen this way. 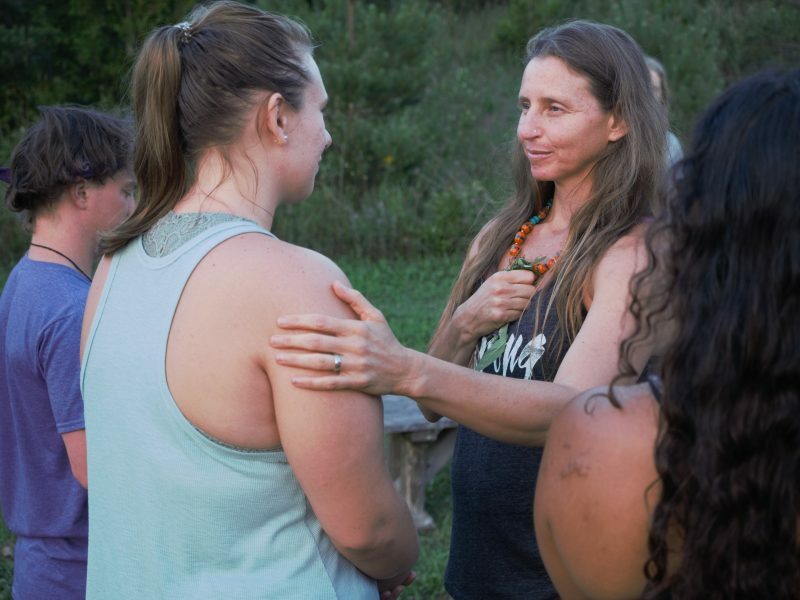 Our inter-generational faculty brings the wisdom of both younger and older teachers, where each one of us is learning from the other, and where you can learn to value your gifts and/or obstacles and what they bring and teach you in your life. 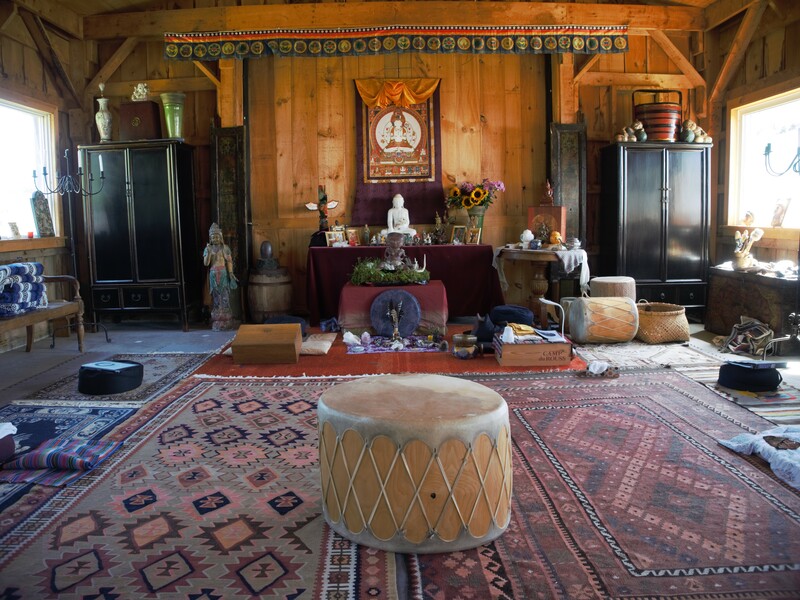 The program draws from a diversity of perspectives, including Indigenous, Eastern Buddhist, and Western spiritual views of initiation and awakening. Like the Hero/Heroine’s Journey in any tradition, each must discover the face you show the world and the one you hide, escape, avoid and deny. 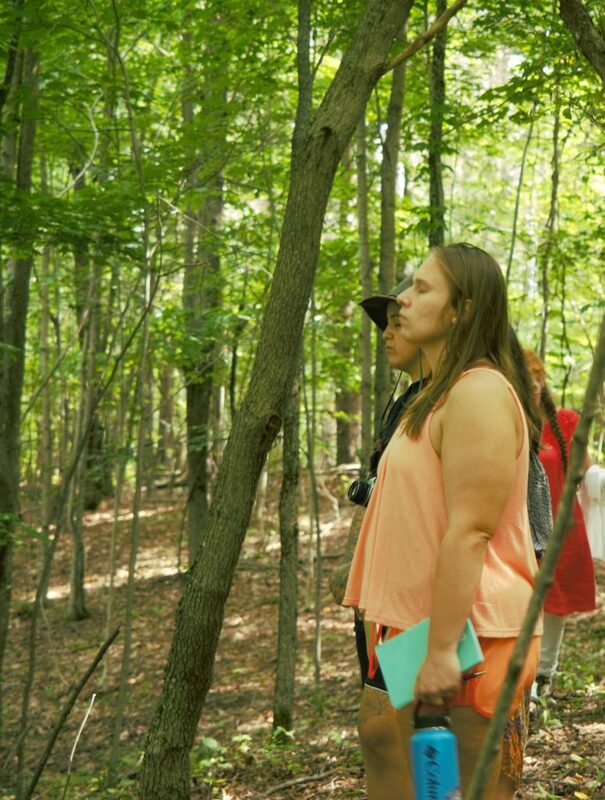 Stepping in nature, it asks us to be real and also to face our fears. Nature reveals itself to us; but only as we listen and become silent, do we realize we are the ones being watched. What works, what doesn’t and what are you willing to change? Are you seeking connections with other like-minded people? Do you feel caught in old, unhealthy habits and paradigms? What tools do you need to meet both your personal and our collective challenges? 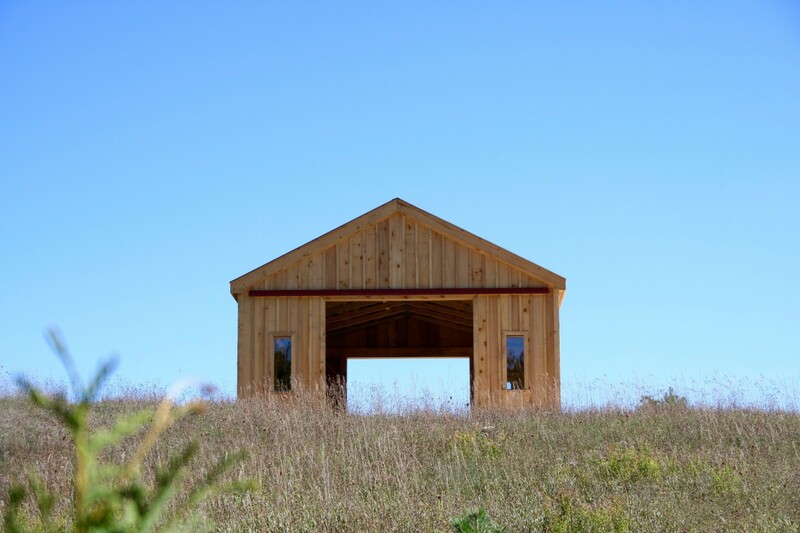 Are you concerned about the environment, the state of our world, and your own well being? Belonging, connection, and community are core to our human experience; it’s not enough to do it alone. 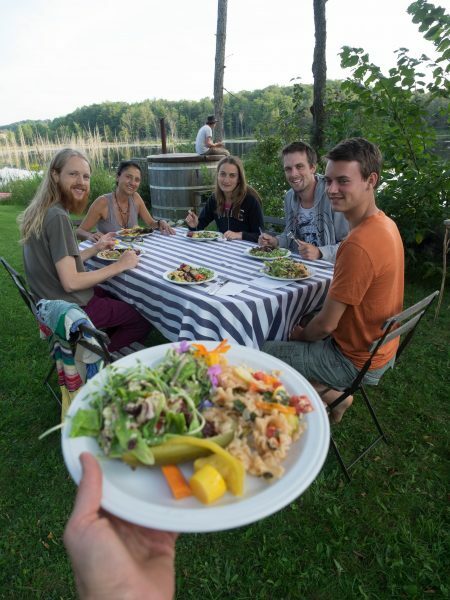 The Sarana Team is an intergenerational community who draw from the fields of mindfulness, meditation, healing + expressive arts, yoga, embodied movement, permaculture, holistic nutrition/cooking, deep ecology, psychotherapy, chaplaincy, and end-of-life, where we draw from secular and spiritual traditions alike, including Neuroscience, Systems Theory, Buddhism and Indigenous Wisdom. 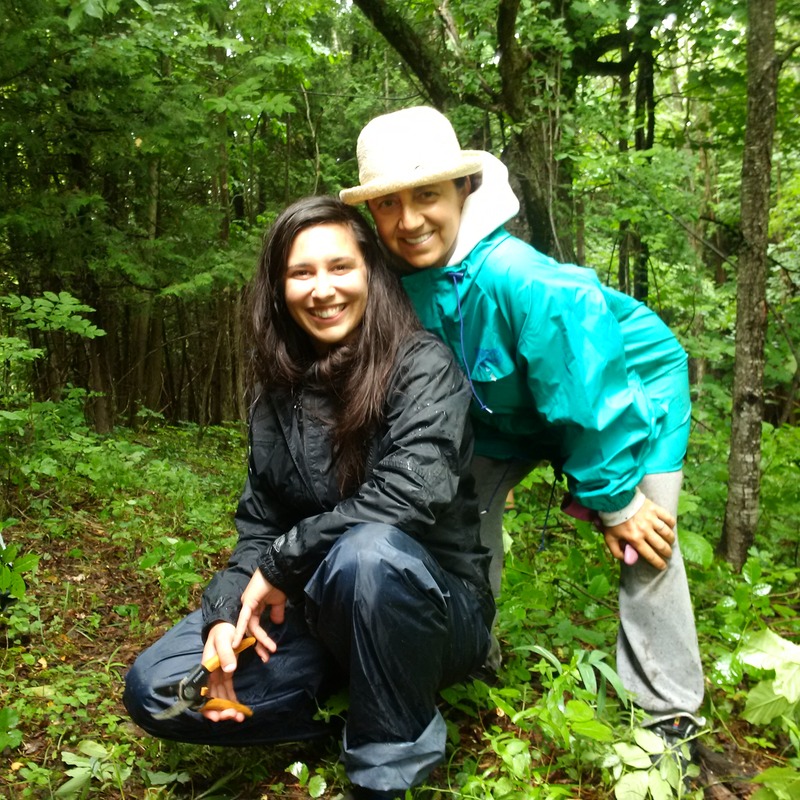 Being in nature-living, camping, swimming, hiking, and deep listening–deepens our sense of interconnection with a wider sense of the world. Gradually, we notice that we are part of something larger, something that connects us into our wholeness. Nature attunes us to another rhythm and helps us to listen inwardly, where we draw on our inner strengths, ones we may not have been aware of. 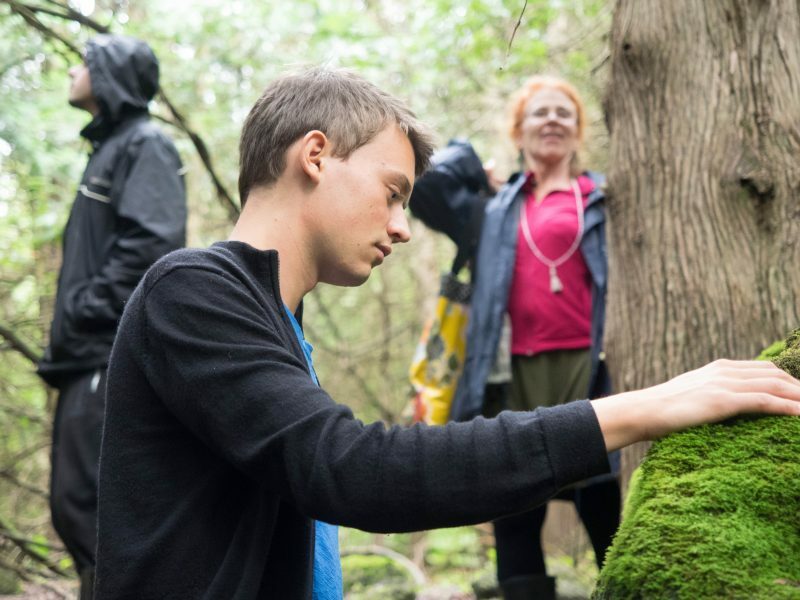 It provides opportunities for youth and young adults to discover the strengths we can draw from being in the natural world and reconnects with a sense of belonging and finding meaning in relationships. 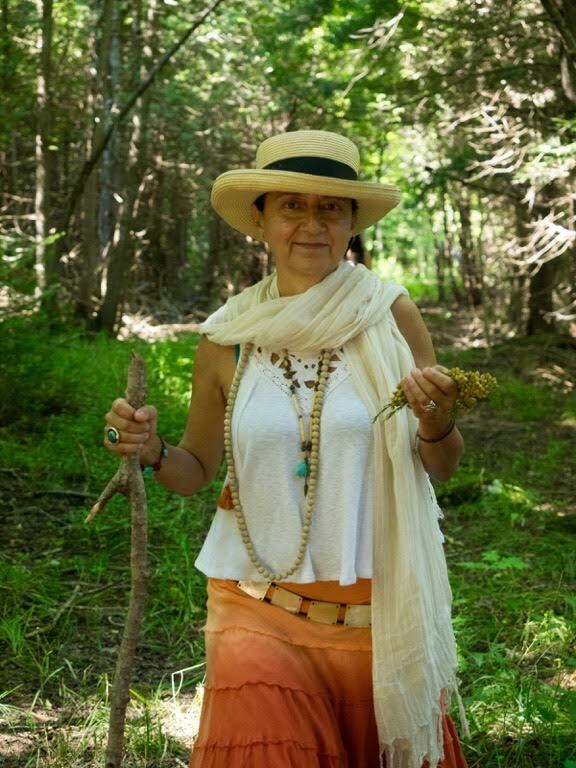 When we add mindfulness and compassion practices, and other awareness practices, such as deep ecology, food sovereignty, creative expression, and rites of passage, we create an even more powerful experience in connecting to our place in the greater landscape of all beings. 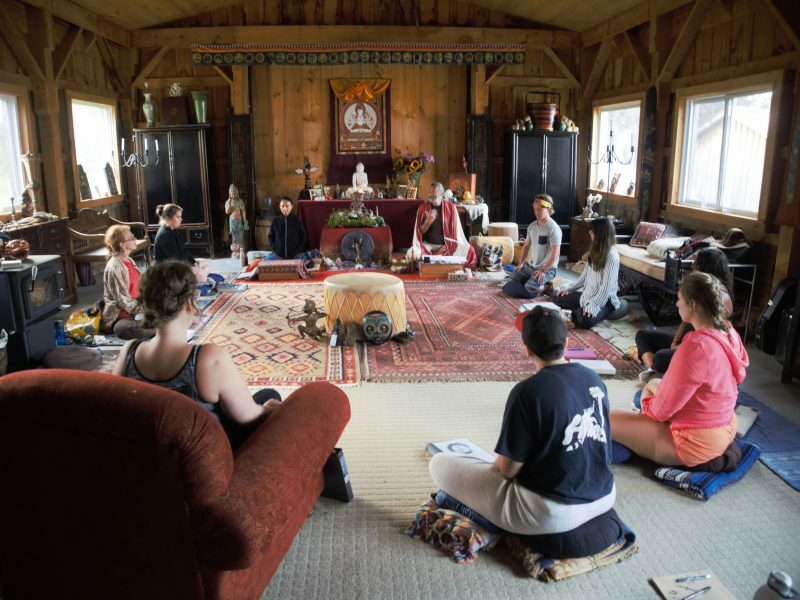 Bringing mindfulness and compassion training into the program will give participants skills to calm their minds and to explore their relationships with their mind and body, learning how to skillfully handle difficult emotions and thoughts, and to direct and sustain attention, cultivate compassion, and to deepen our ability to communicate authentically with one another. Embody self-compassion through understanding how we turn away from suffering and how can apply the actions of kindness towards oneself, thereby opening our caring towards others. 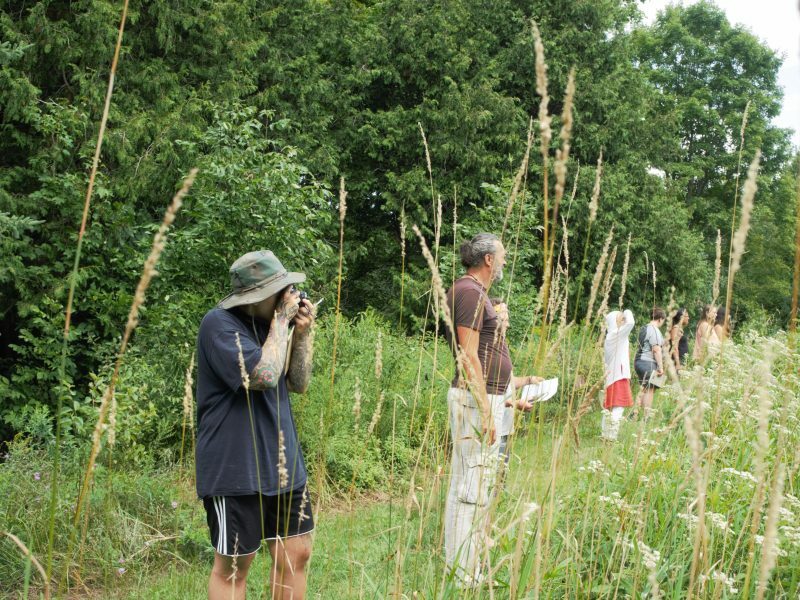 Nature-awareness practices are skills gained through living and being in nature, but also by encountering the natural world on its own terms and by learning the skills of observation, identification, and overcoming our fears and discomfort. Meet your limiting beliefs and obstacles in being in a group, which includes our family of origin issues. 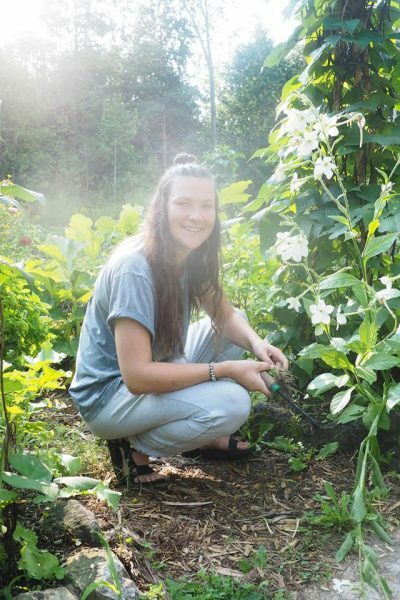 An important element of food sovereignty is giving our youth resources in meeting the challenges of climate change and addressing our relationship with globalization of food, i.e., where does our food comes from? 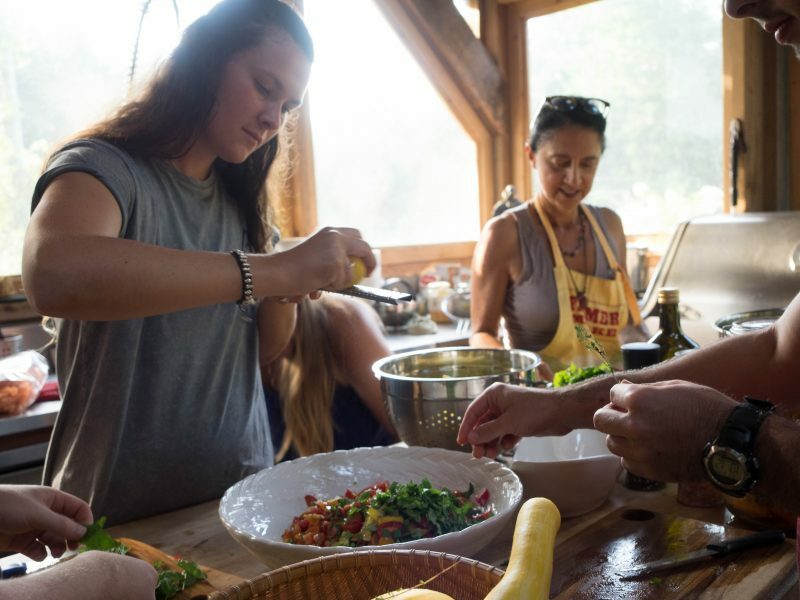 You will learn about your relationship with food, not only by spending time in the vegetable garden, weeding, planting, building soil, harvesting food, etc, as well as learning cooking and food preparation skills. Consider how the “four elements” that make up life—Earth, Water, Fire and Air—can sustain life or can destroy life, depending on our relationship with them. 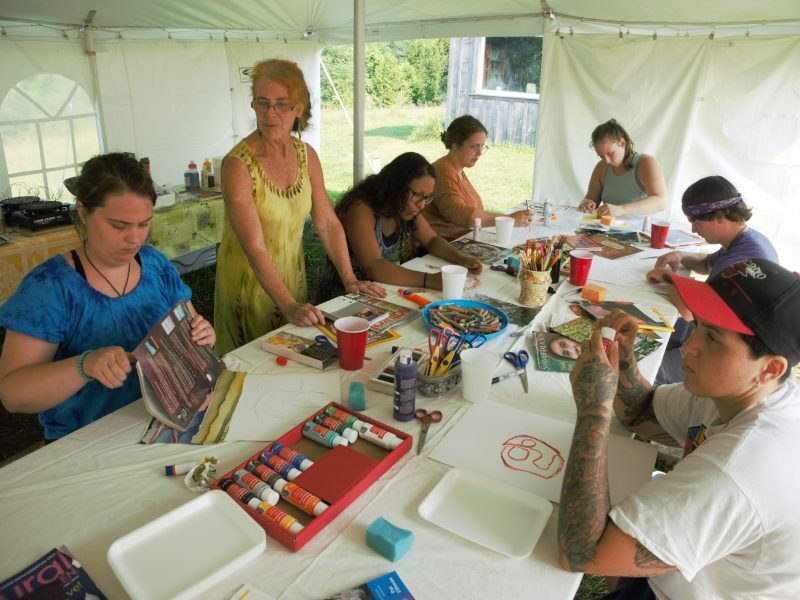 An integral element of the program is building our relationship to our purpose and then joining with community, fostering mentorship, relationship and friendships, as well as embracing cross-cultural ceremonies and the arts. 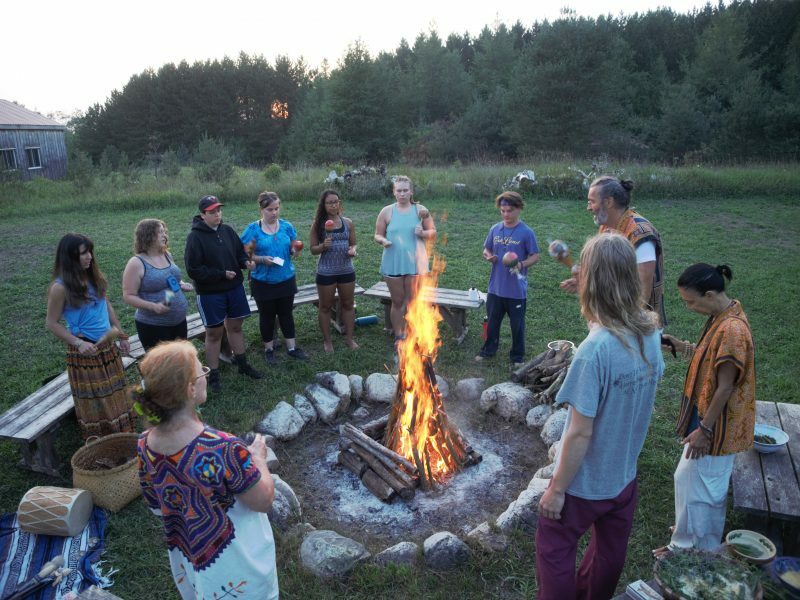 Exploring a variety of ritual practices such as water and fire ceremonies, the program allows each participant to travel a “full circle” in learning who they are and what it may take to become the person they wish to be. 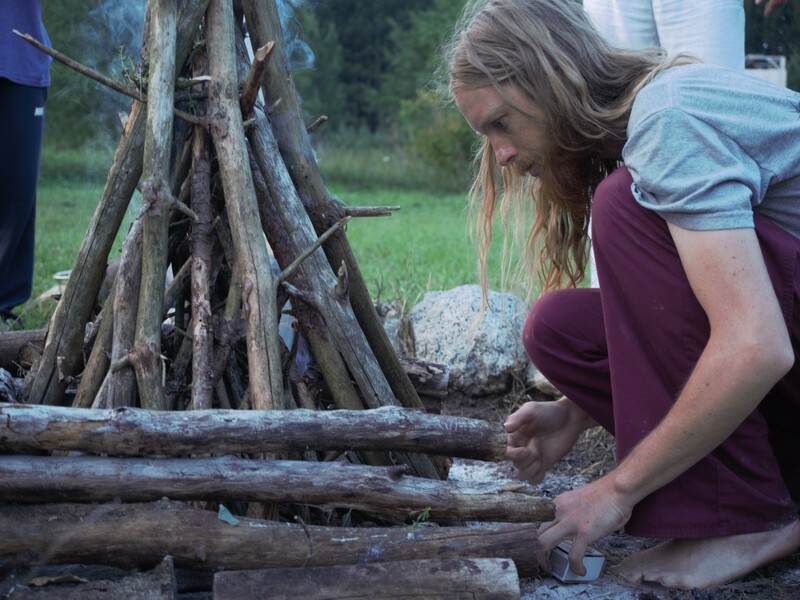 Experience an optional ‘Inner Quest’ as an all night self-reflection at your ‘sit spot’ or by the fire circle. 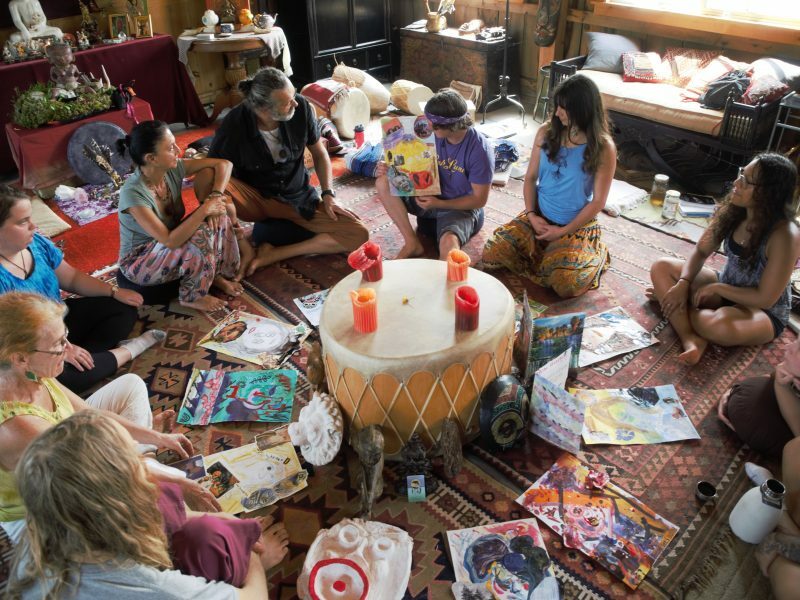 This Inner Quest is a symbolic and transformational evening; converging all our self awareness practices into one memorable night. 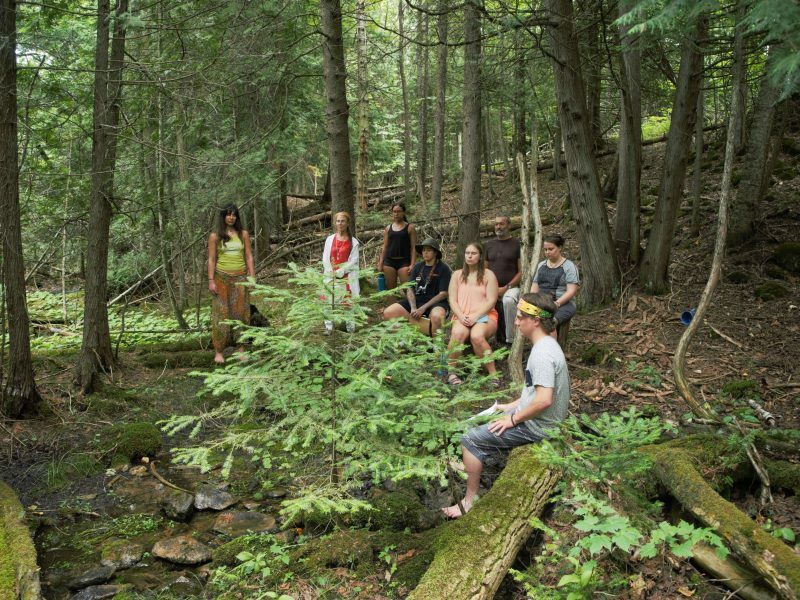 What’s a typical Mindfulness in Nature day? 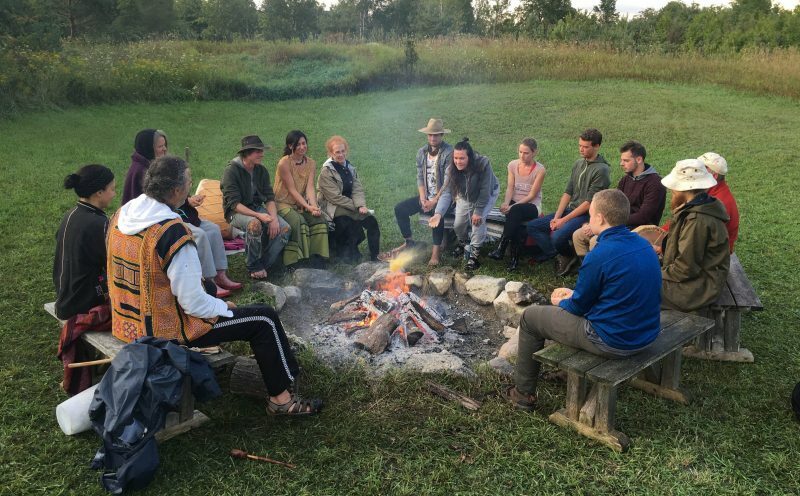 This program gives you a structure that provides you with mentorship, mindfulness training, emotional resiliency, compassion, and insights to strengthen your acceptance of not only who you are on the inside but who want to become in out in the world. 1:00 – 2:00 pm: Lunch is served. 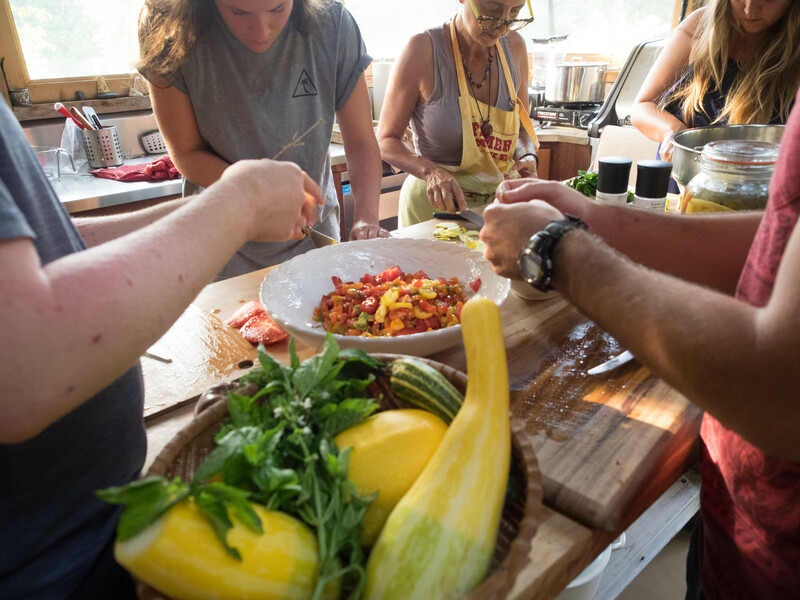 Think nutrient dense and locally sourced with an abundance of summer flavour! 5:45 – 6:15 pm: You time before dinner. Time to integrate the afternoon’s session, clear the body with some movement like yoga by the lake, or cool off with a swim! 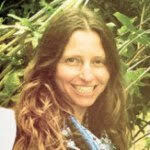 7:30 – 9:00 pm: Easy going evening teachings around a camp fire. Including music making, story telling, drumming etc. This is rest and digest time. ARE YOU READY FOR YOUR SUMMER HIGHLIGHT? 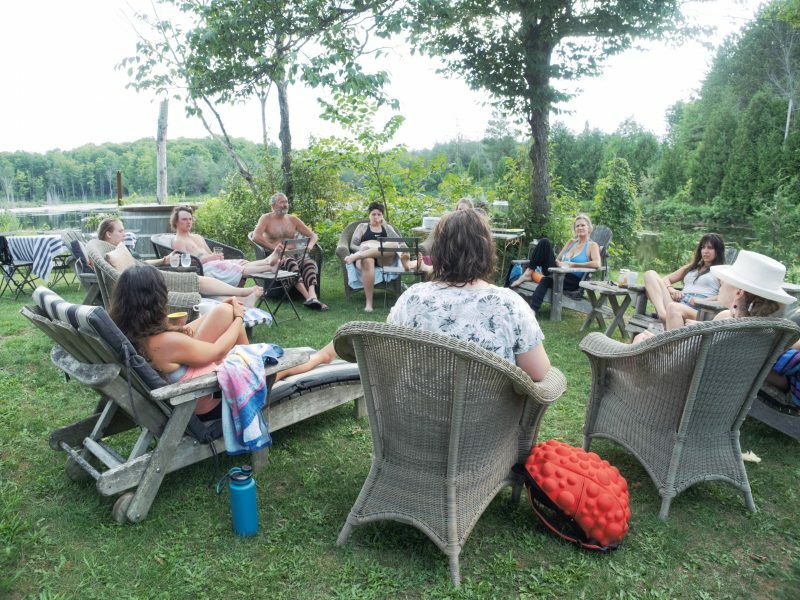 Past Participants Have Said They Felt: Empowered, inspired, self aware, confident, loved, connected, supported, heard, seen, motivated, enriched, well-fed! To be well, to enjoy living a life with meaning, and to be aware and present in meeting this world’s challenges, we need to look carefully at each ingredient, understand what is needed and combine all of them into nourishment.